OMG...this is too cute, you have a good gift of mixing patterms! and the shoes are too cute! !! 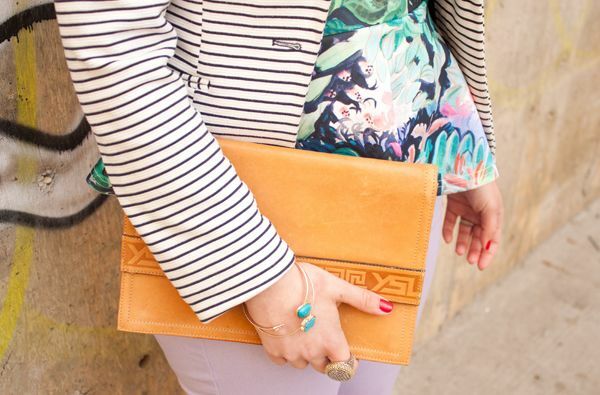 Love your mix of stripes with a printed top! Super cute. 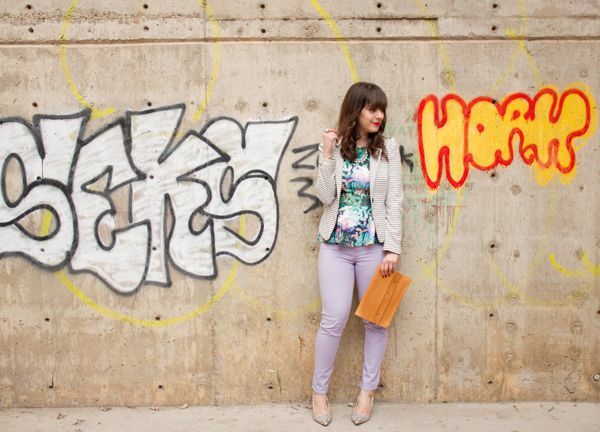 Lavender pants looks gorgeous on you and I love stripes and floral together! How cool is this location?! I am loving the stripes and florals together, the purple pants are gorgeous too. Lookin good missy! My name is Evie and I'm 15, I aspire to do fashion journalism when I'm older so I recently set up my own blog for some experience. Your blog is amazing and had given me some great inspiration! Any advice from someone with your experience would be amazing too! 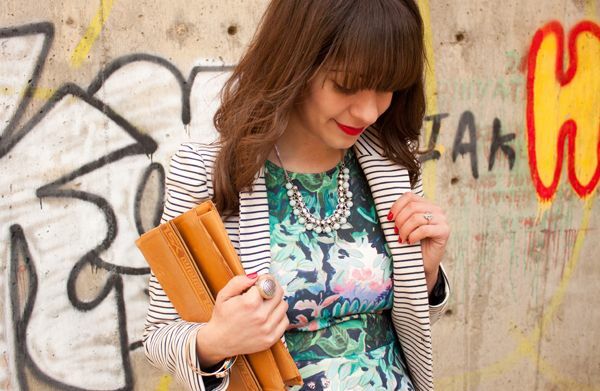 I love your print mixing here...and that peplum top is gorgeous! What a perfect background for this shirt/outfit! Love it. Nice look, I like your peplum top! 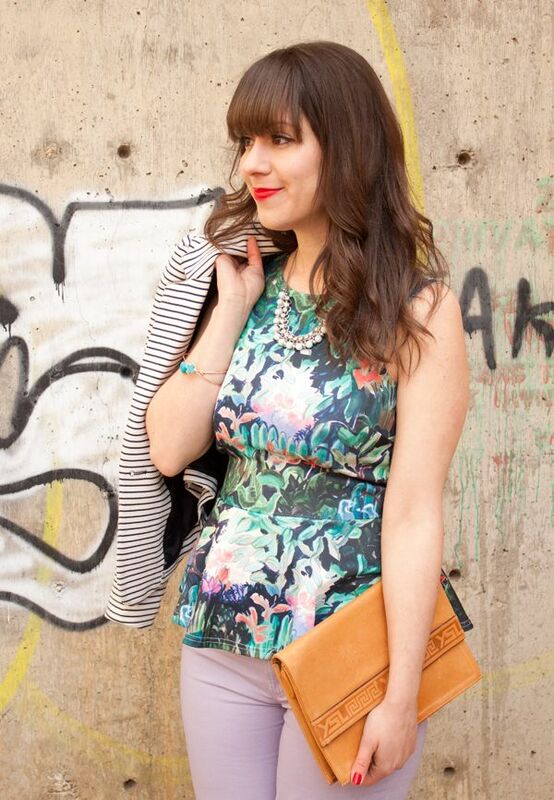 That printed peplum top is fantastic! !